Ready to Boost your networking potential in İstanbul? ACE of M.I.C.E. Exhibition by Turkish Airlines is gearing up for its sixth edition on 20-22 February 2019 at Istanbul Congress Center (ICC) – Istanbul, Turkey. ACE of M.I.C.E. will welcome around 250 exhibiting companies and 200 International and 500 local buyers will be hosted to engage B2B meetings with the exhibitors. For its sixth birthday, ACE of M.I.C.E. 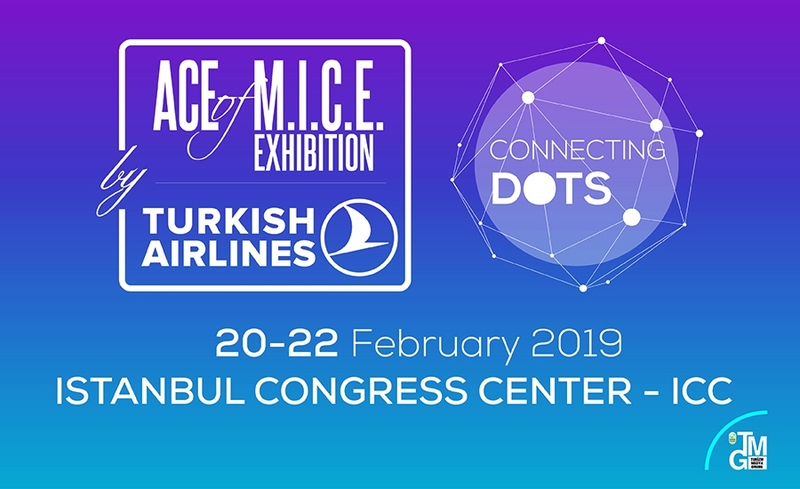 has renewed its face and will be hosting the global MICE industry with a new design that has developed under the motto of, ‘Connecting Dots’. As being the foremost B2B platform of the regional MICE industry, the trade show will be gathering professionals in an intensive 3-day program which is full of networking and business interactions. Besides thousands of B2B appointments will take place during the show, participants will enjoy fascinating sessions in the Speakers’ Corner and various networking events. Participants of the ACE of M.I.C.E. will have the privilege to attend inspiring sessions of the Speakers’ Corner Programme and to hear from the best. Professionals of the top global event companies and organizations are lined up to talk at the Speakers’ Corner and to deliver their unique expertise on various topics. Speakers include Jason Popp, International Executive Vice President at GES; Gregory Crandall, Brand Engagement Director at PICO Global; Anna Ratala, Head of SLUSH Singapore; Johanna Marsal, Senior Producer at Moment Factory; Caspar Mason, Creative Strategy Director of Jack Morton Worldwide; Tahira Endean, Author of Intentional Event Design; will be there at the Speakers’ Corner to address the ACE of M.I.C.E. audience. ICCA Panel that will host directors of convention bureaus and tourism authorities, as well as an Esports Panel gathering most influential shareholders of the Turkey’s esports industry, will be part of the 2019’ program.